Meerlust Estate: Meerlust Rubicon Magnum Meerlust Rubicon Magnum: The varieties were fermented separately in steel tank for 10 days. After malo-lactic fermentation, the wines were blended in a ratio of 63% Cabernet Sauvignon, 27% Merlot and 12% Cabernet Franc. Once blended, the wine was matured in Nevers barriques for 24 months. 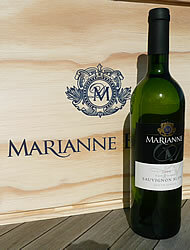 80% new https://www.weinbaule.de/big-bottles-meerlust-rubicon-magnum-p-1445.html?osCsid=b8735a021f88dbcd54161b6fe5cc2031"> Wine 56.99 6009648622678 WeinBaule.de | The Home of Wine Meerlust Estate New In stock!